Vecoplan Midwest is a leading supplier of pelleting equipment. From processing the raw material to bagging the finished pellets, Vecoplan Midwest designs, builds, and installs complete pellet production systems. 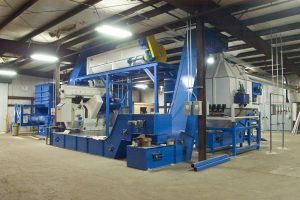 A typical line within the Pellet plant includes size reduction, conveyance, metering, pelletizing, cooling, screening, packaging, and customized system controls.